Direct sowed in my Northeast bed. I hope it’s not too early. 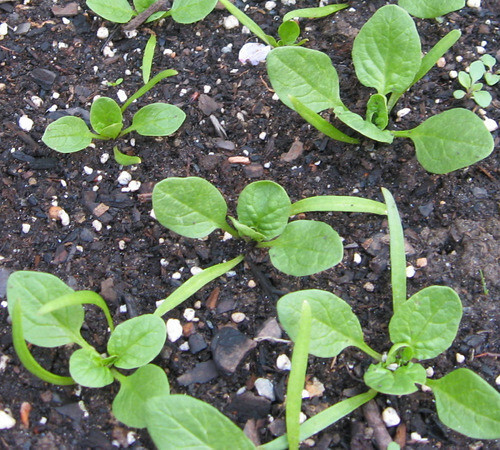 Sown from my Spinach, Teton Seeds. I feel like salad tonight! Katxena,when’s your last frost date? I’d like to try direct sowing my spinach too. My last frost date is May 15. 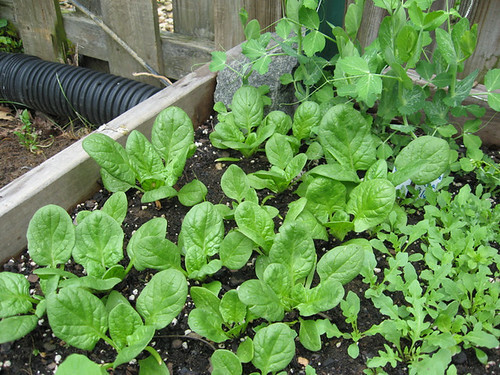 According to my Square Foot Gardening book, spinach can be direct sown outdoors 5 weeks before your last frost date. So mine are early — but we have very long springs, with lots of light frosts and very few hard frosts, and when it warms up, it tends to warm up really fast. So it seemed reasonable to me to plant them early.